This year it felt as if Fall would never arrive. 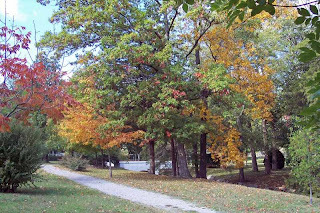 Summer was hot and dry--as evidenced by the frequent week-long "Heat Advisories" issued for much of July and August. 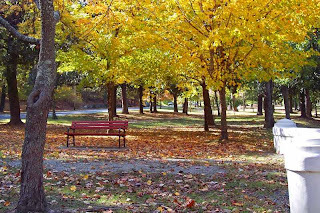 September brought some modest relief from the often oppressive summer heat; yet daytime temperatures stubbornly remained well above normal. 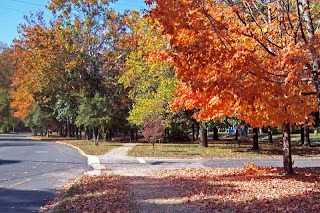 As late as mid-October we were still enduring daytime temperatures in the mid-80's (more than ten degrees above normal). 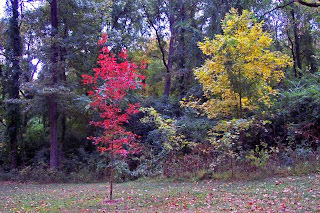 And as one might expect with all this unseasonably warm weather, the appearance of the colorful Fall foliage was delayed. 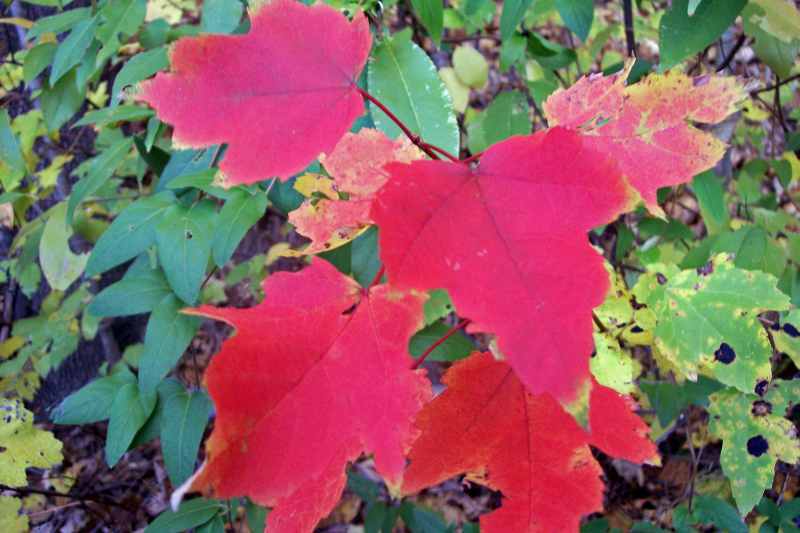 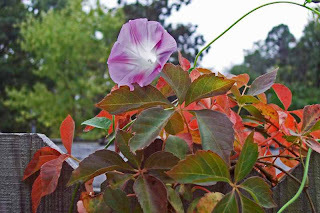 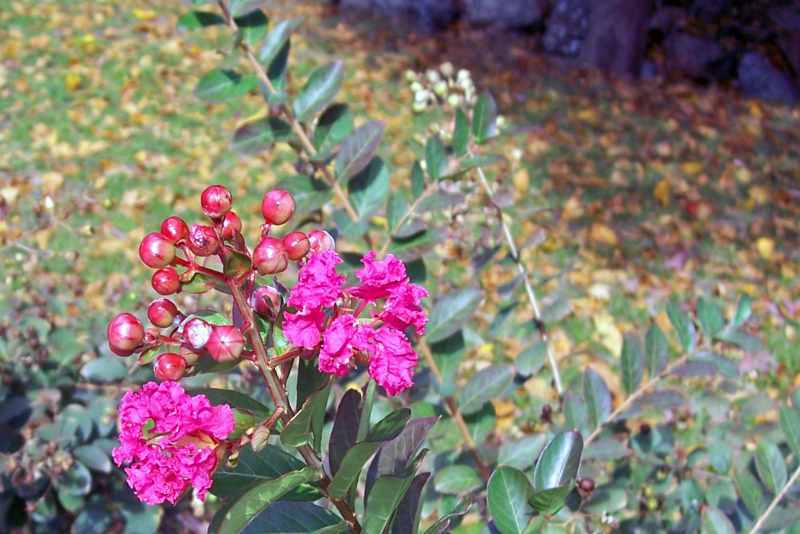 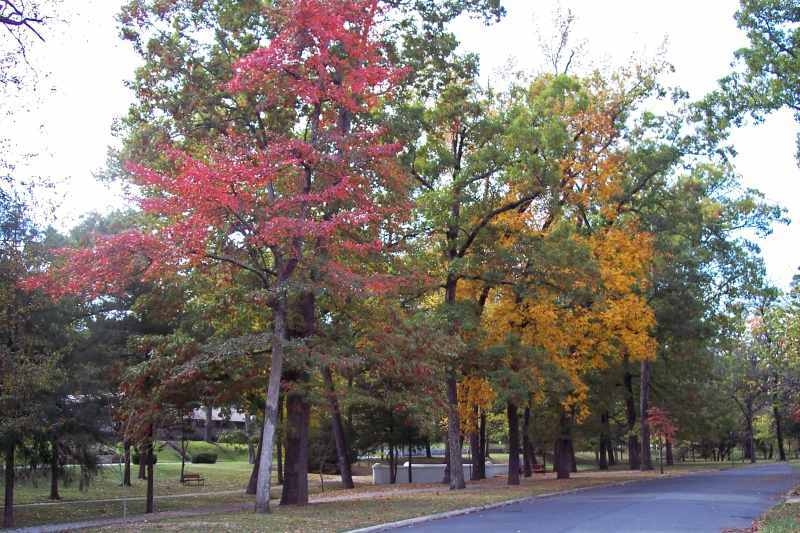 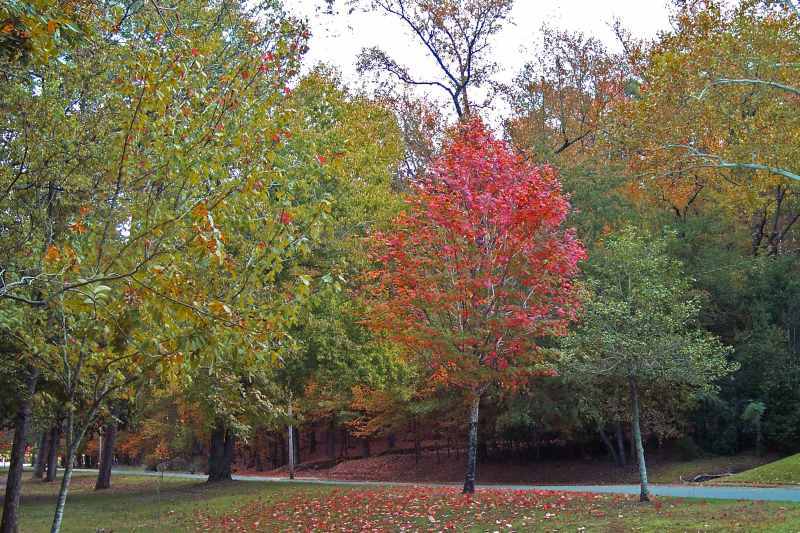 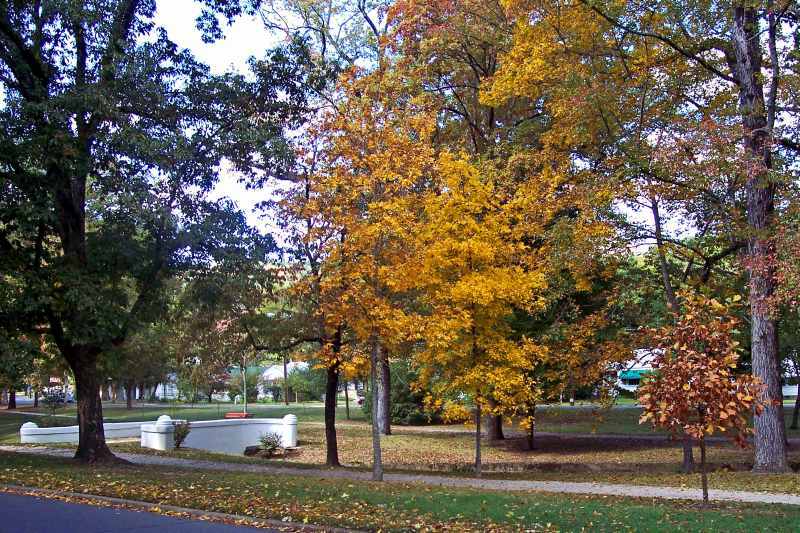 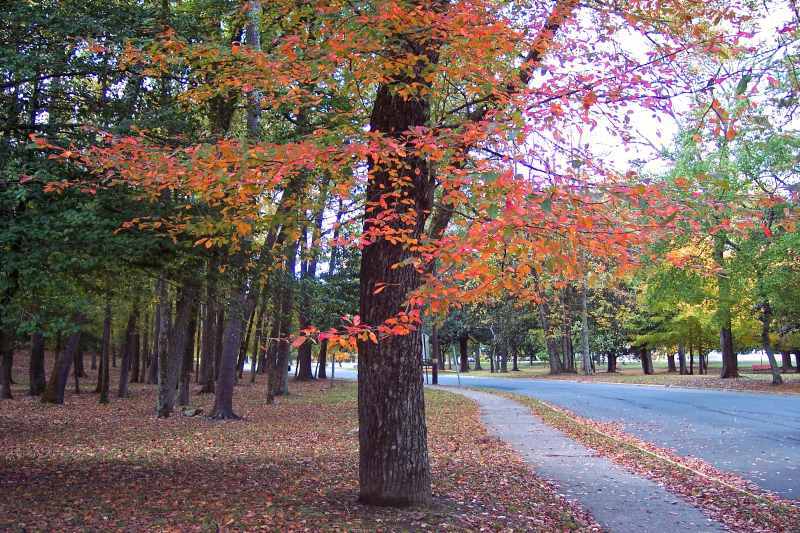 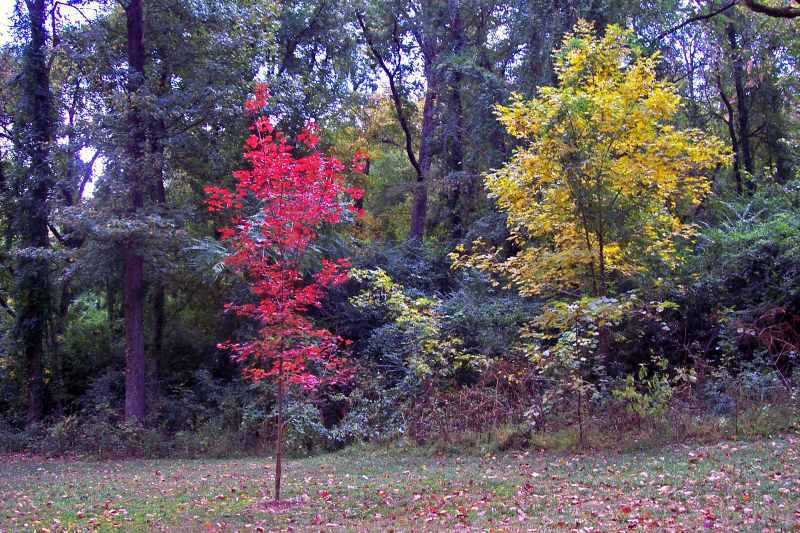 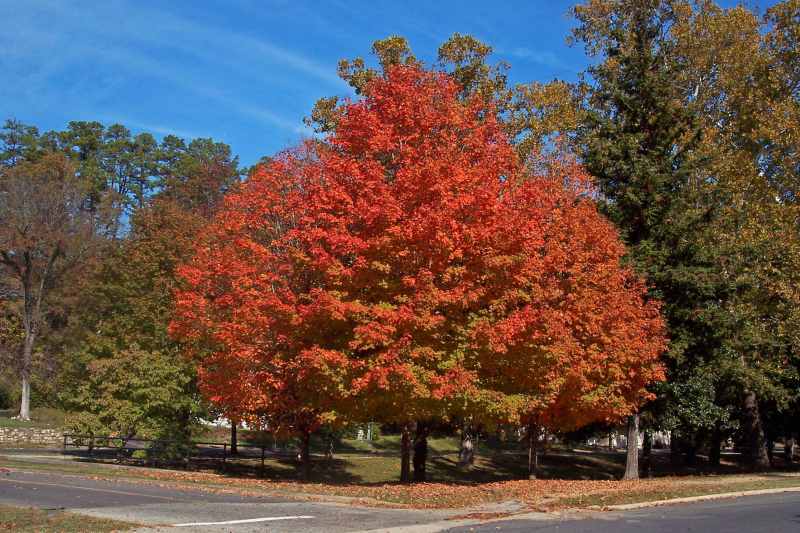 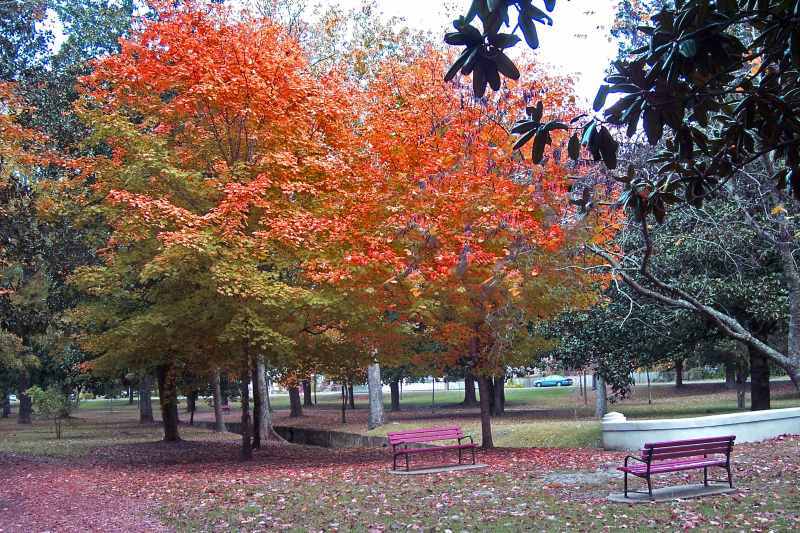 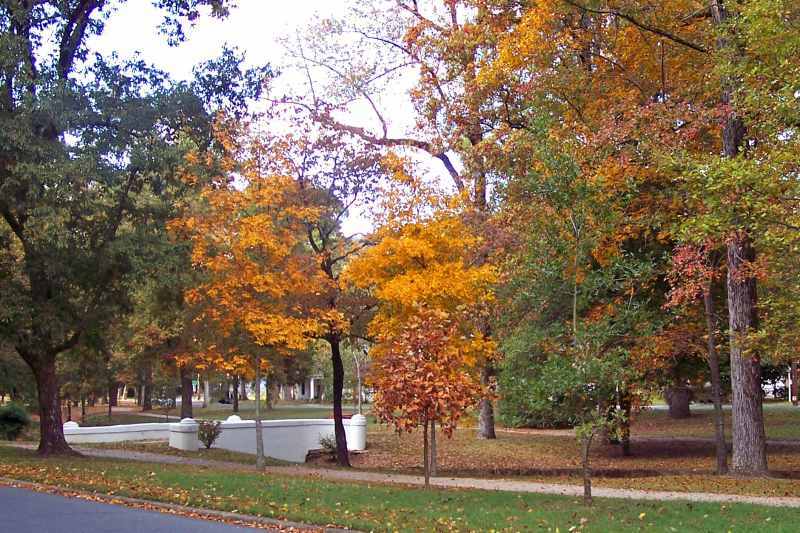 However, by early November, aided by several drenching showers and multiple cold snaps, the leaves began to change. 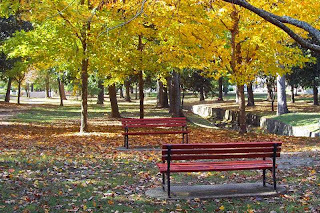 One of the joys of living in the Whittington Valley is the bright transformation brought about by the arrival of Autumn. 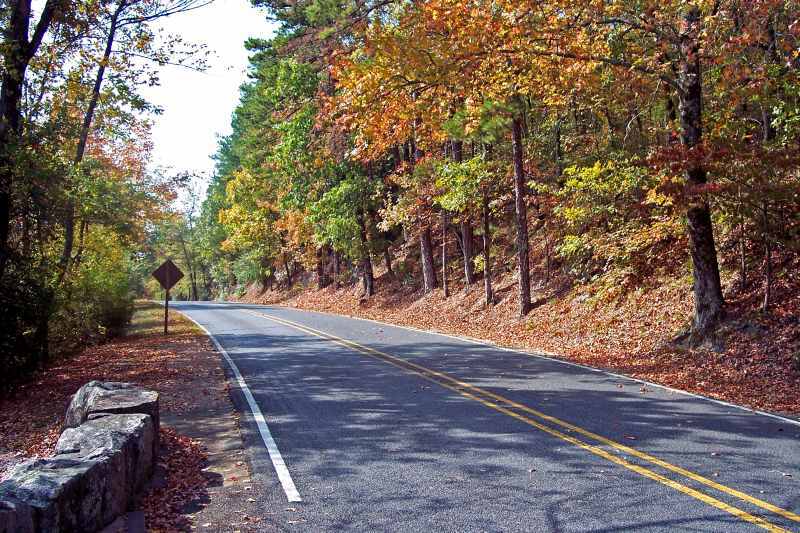 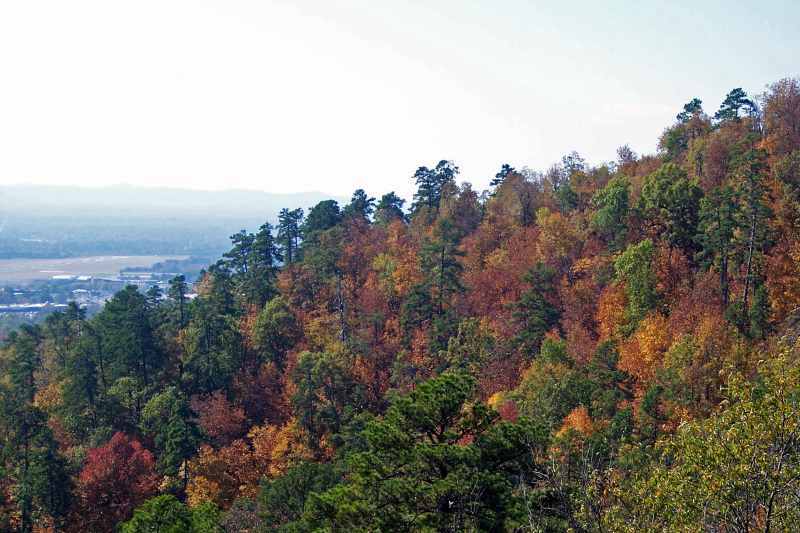 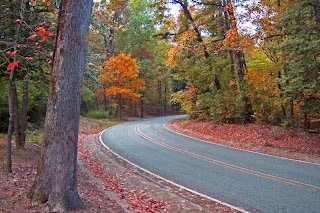 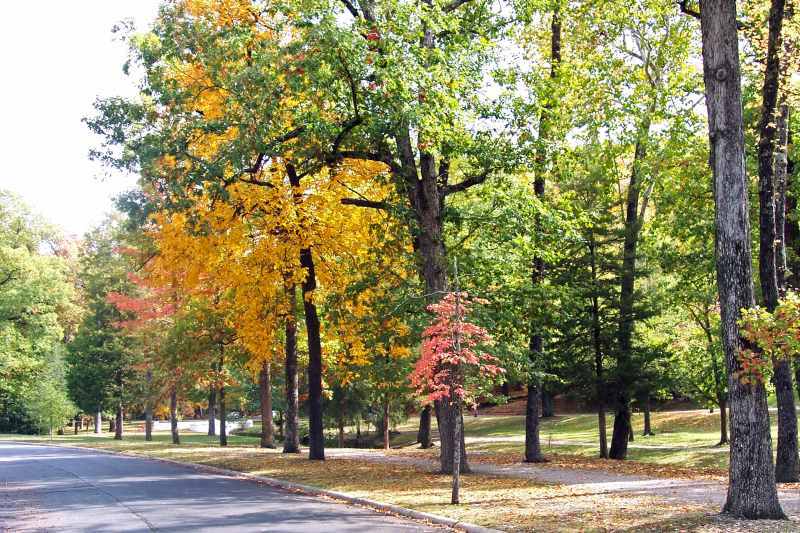 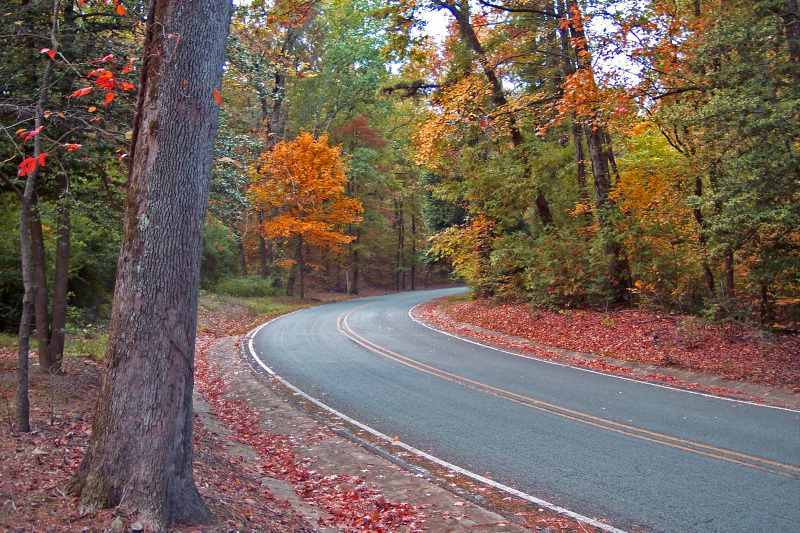 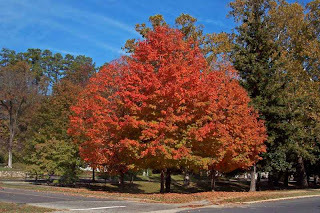 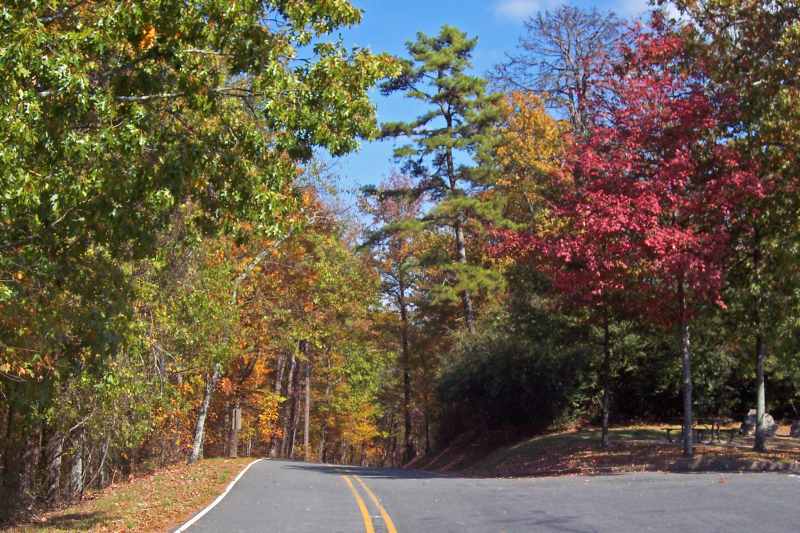 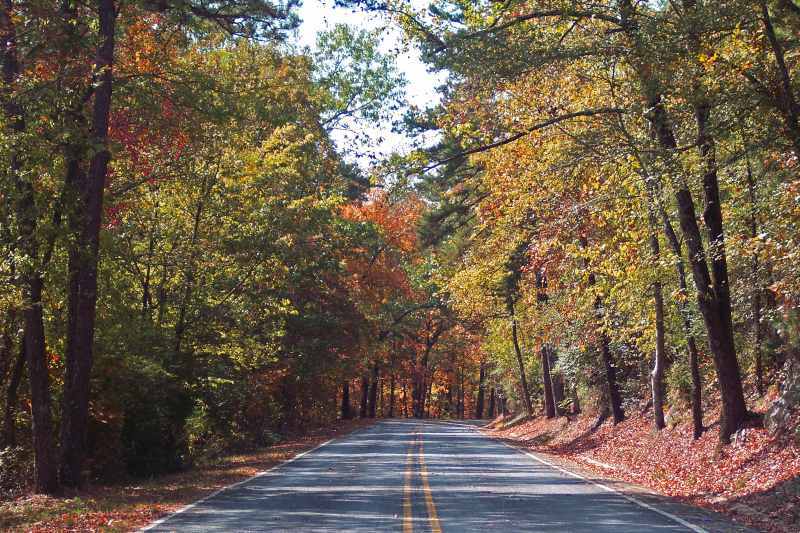 As we write this, on November 5th, 2011, the colorful Fall foliage is at its peak: the drive over West Mountain brings mother nature’s explosion of Fall color into breath-taking and often startling . 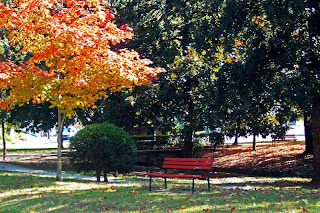 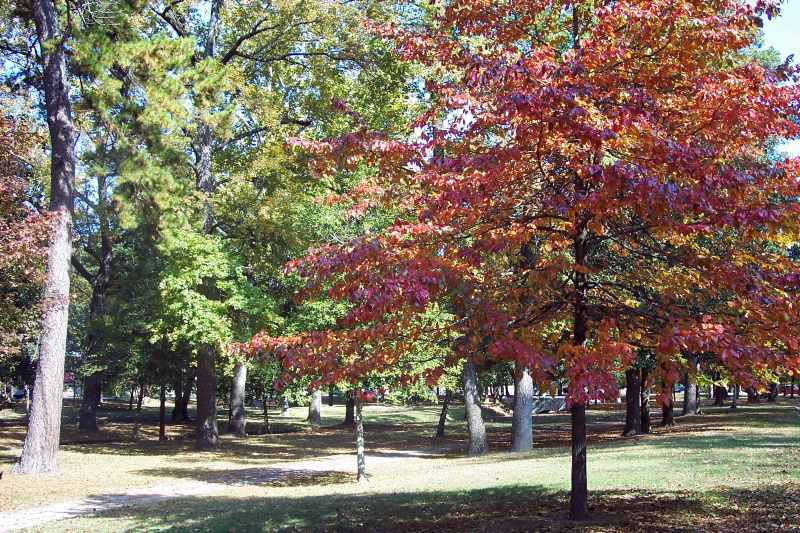 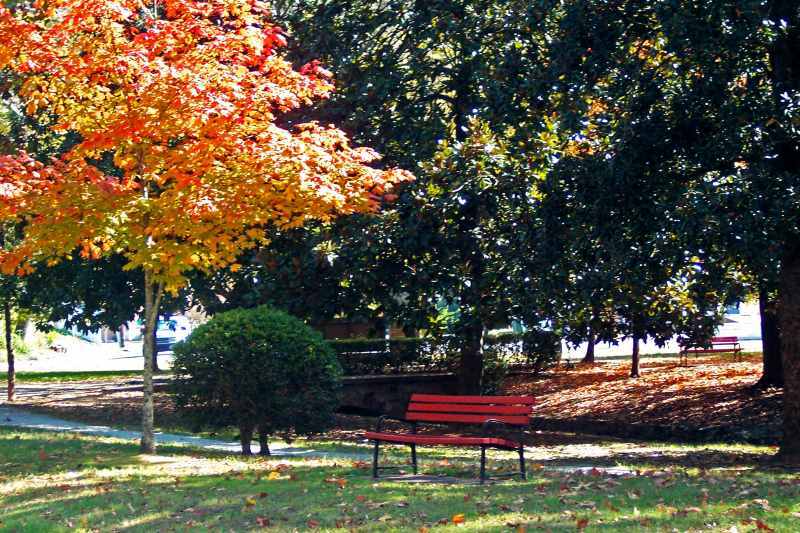 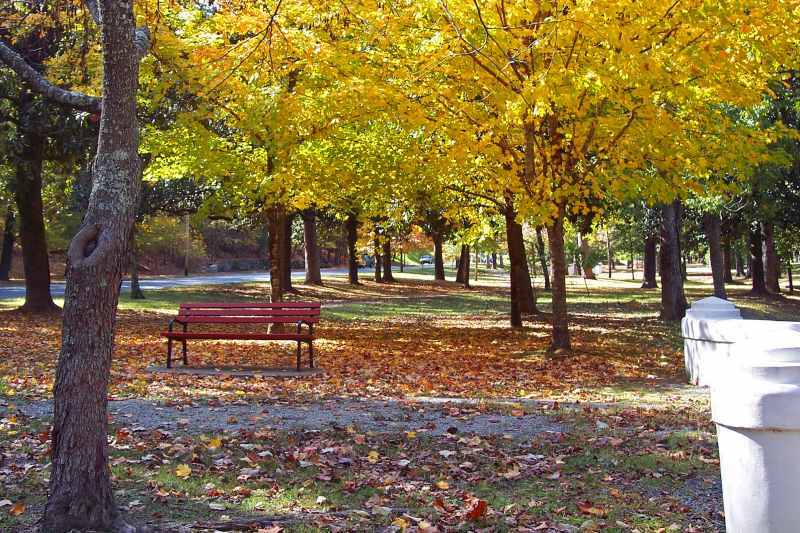 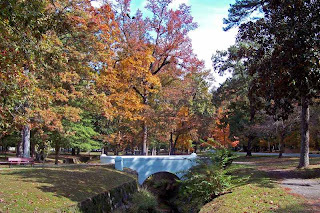 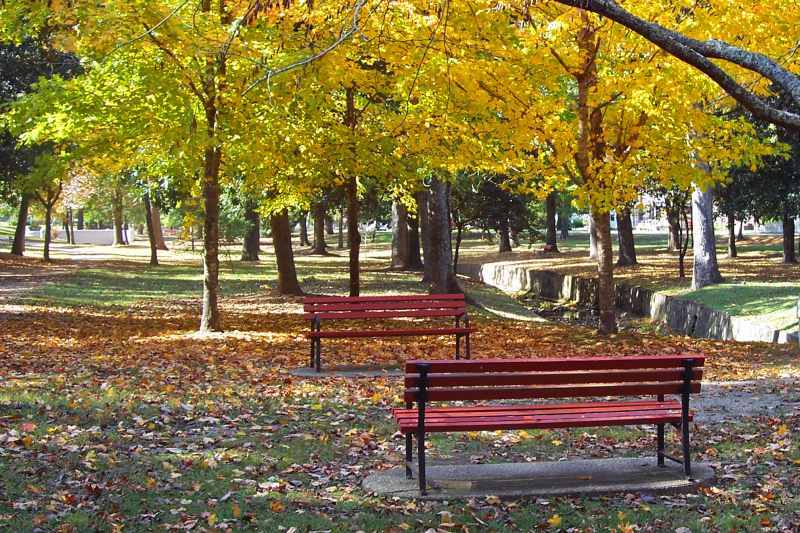 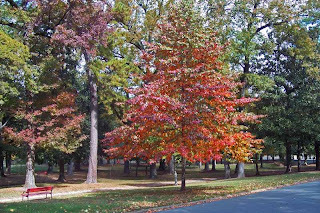 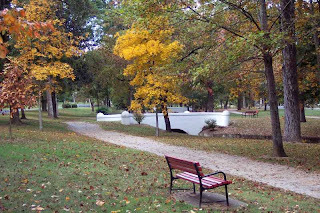 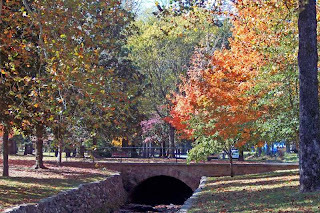 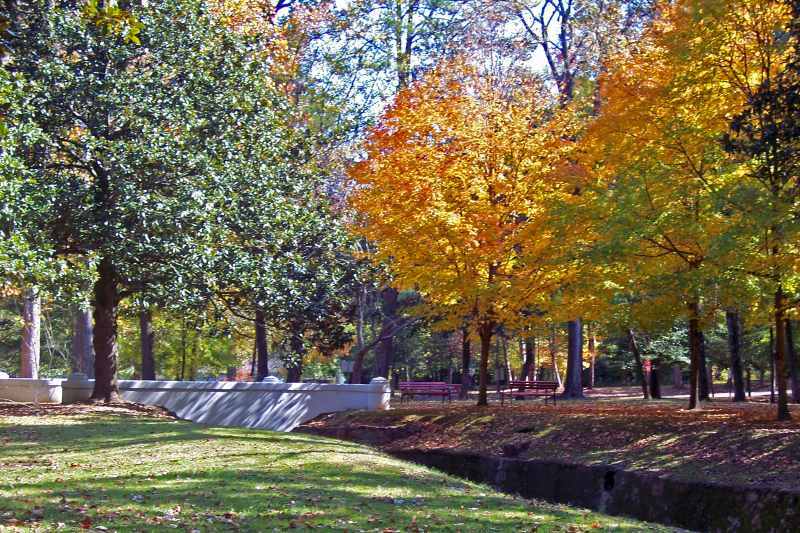 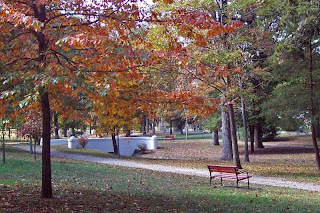 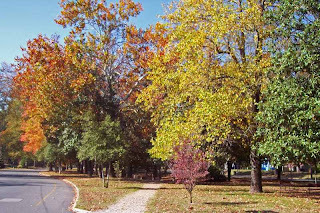 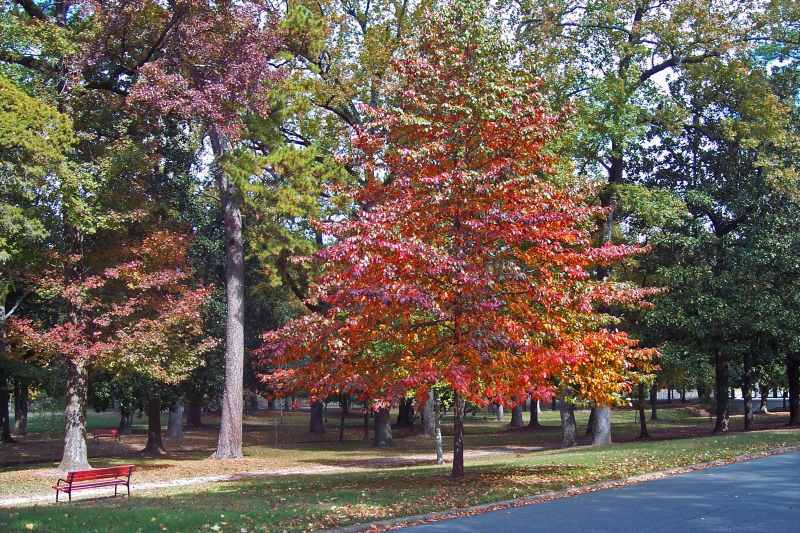 And throughout the Valley, especially in and around the Federal Park, the trees are quickly donning their brightest and best autumn foliage. 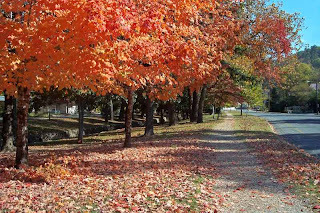 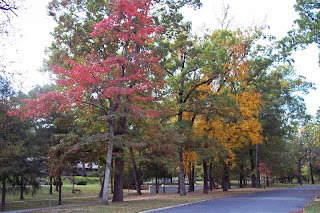 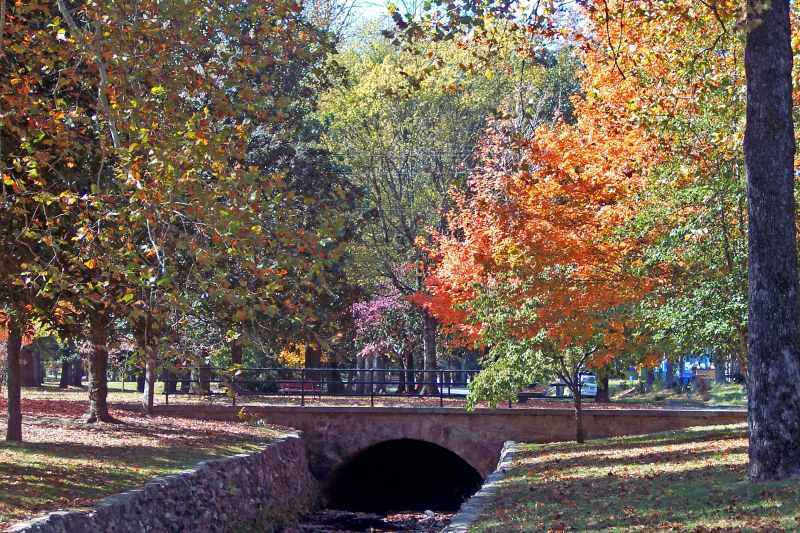 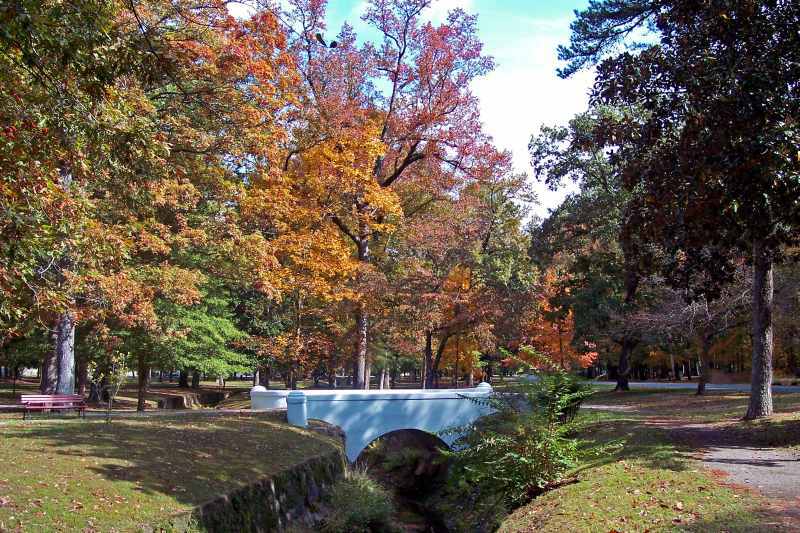 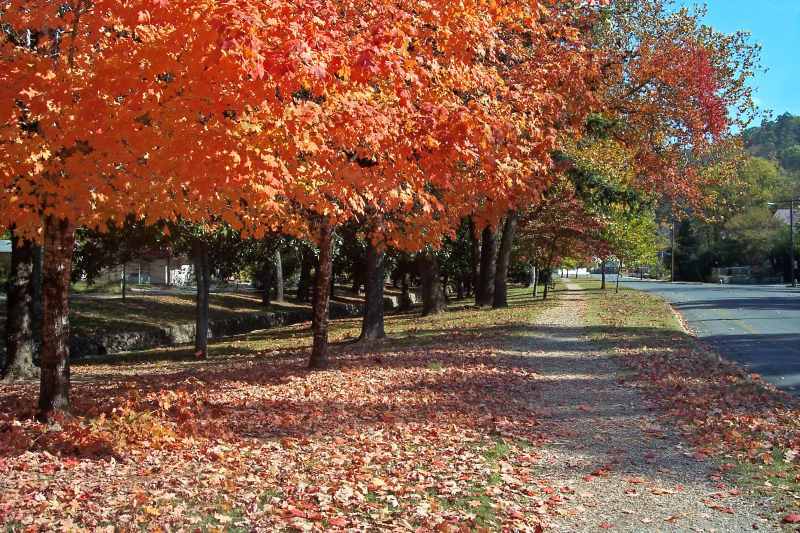 Below are some pictures we took of the Fall colors in and around the Valley. Enjoy. 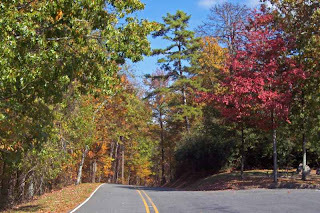 Photo Location: Whittington Valley entrance to West Mountain Federal Park. 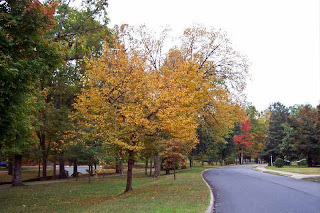 Photo Location: Montclair Lane, Whittington Valley. 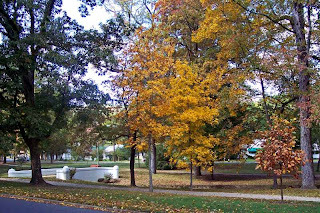 Sugar maple tree in Whittington Federal Park. Photo Location: Whittington Federal Park. 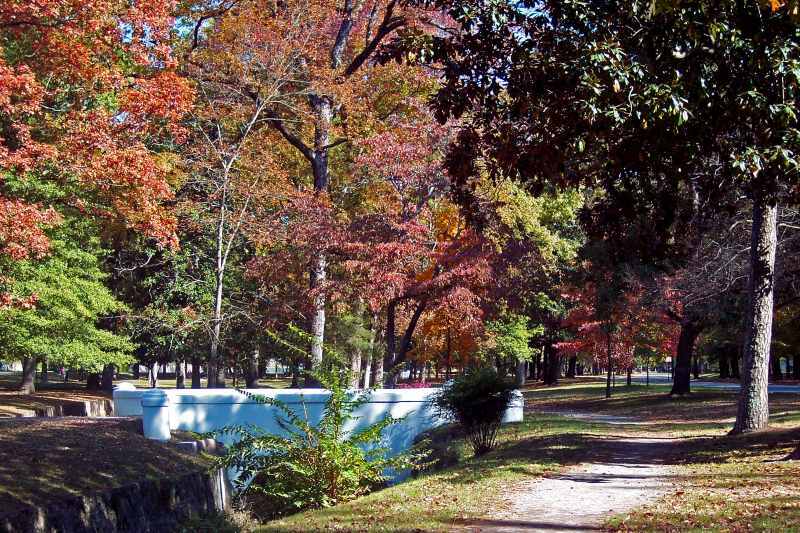 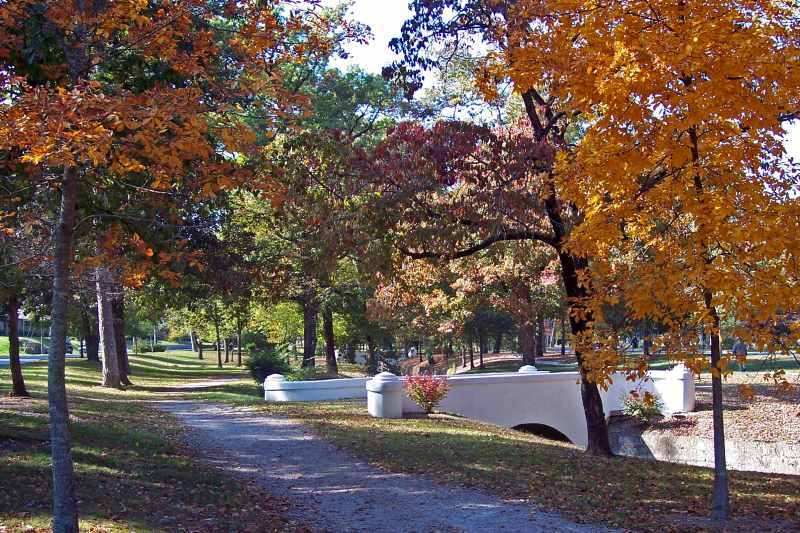 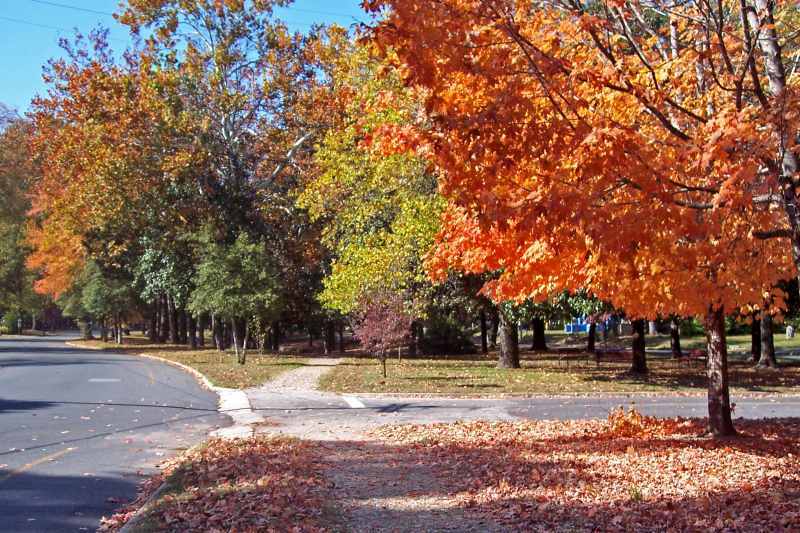 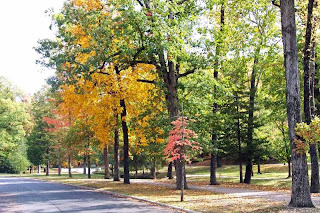 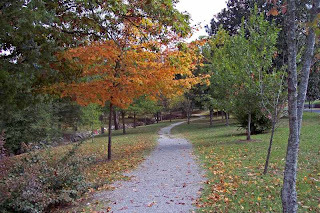 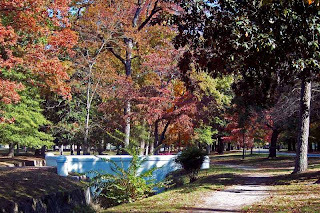 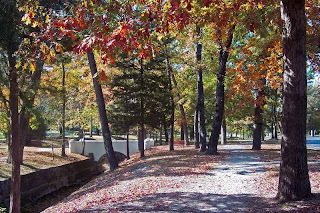 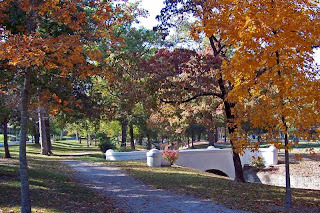 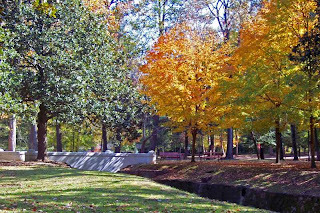 Walking path, Whittington Federal Park. 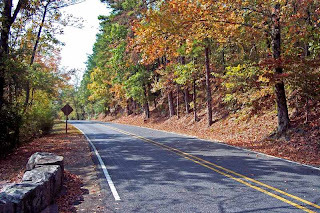 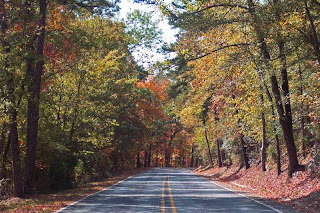 West Mountain Road, Hot Springs. 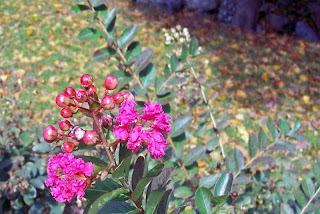 Late autumn flower in Whittington Federal Park. Note the fallen leaves on the grass in the background. 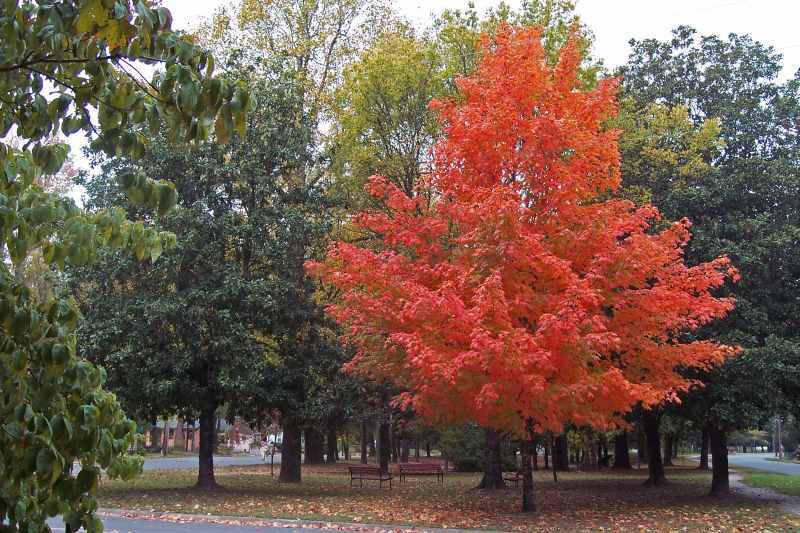 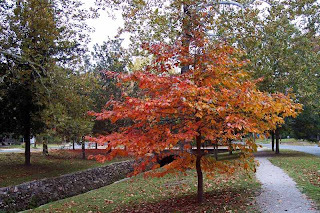 Another maple tree in Whittington Federal Park. 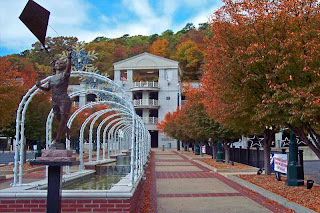 Ozark and Buckstaff Bathhouses, downtown Hot Springs, Central Avenue. 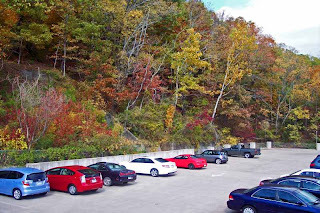 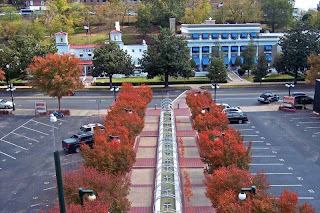 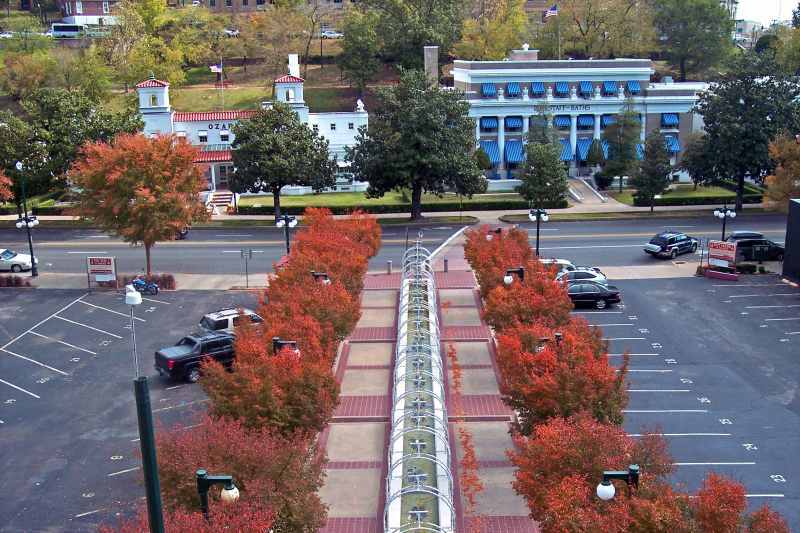 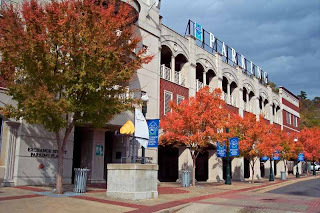 Fall foliage contrasting with cars on upper parking deck, downtown Hot Springs. 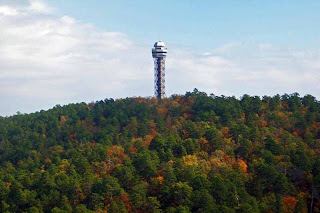 Observation Tower atop Hot Springs Mountain.